I had thoughts of doing a Sharkwerks conversion. Originally they only did a 3.9 litre conversion but now do a 4.1 version. There is an article of the 4.1 version in Total 911 magazine. Good reviews 540hp and 400 lbs torque. My GT3 is a car I love and would love to keep for a long period. Just got a quotation for the work just under $57,000. I'm sure it will be an amazing car. My engine is still running sweet. Its a lot of Bucks for horsepower. Could buy a lot of driving tuition. My advice. Save your money, the mods you're suggesting won't improve the car to the tune of £45K. 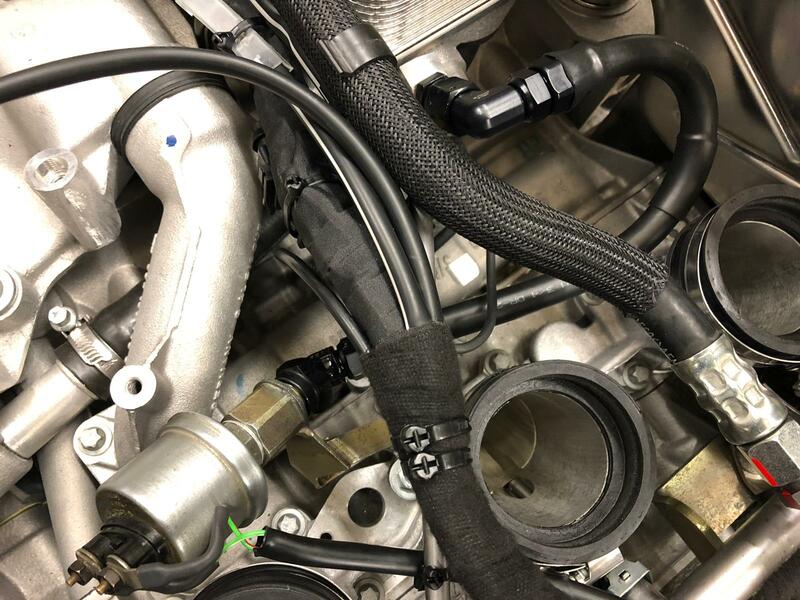 But if you MUST do it, just go factory 4.0 RS/RSR crank, Mahle Motorsport 3.8 pistons and liners, a pair of Cup heads, some uprated cams from FVD and a 4.0 inlet manifold and a decent set of exhaust manifolds/cats exhaust system. I'd respectfully suggest you DON'T use CTR developments as someone suggested. That made me giggle that list of parts + installation must be pushing £40k as Porsche have hiked the part prices in the last 2 years? 4.0 RS/RSRS crank fairly reasonable, shells and thrusts very lumpy. Exhaust ? 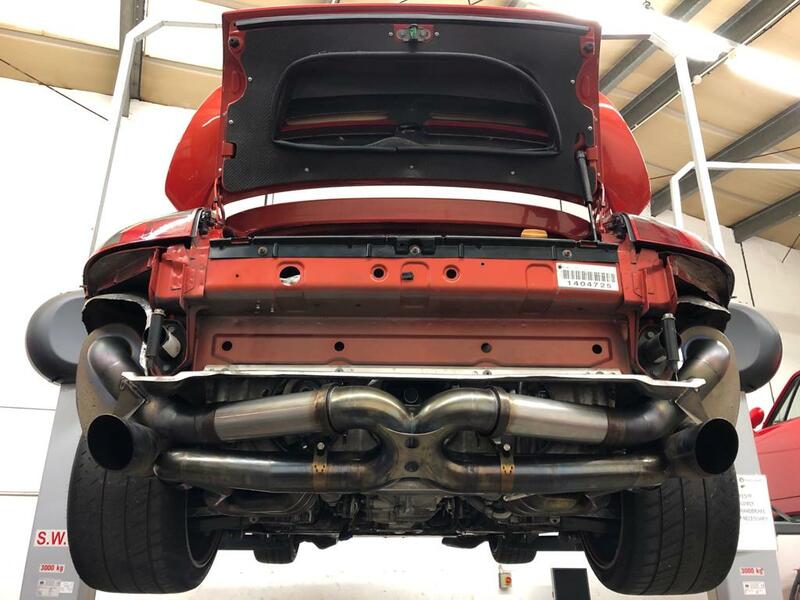 A set of 997 Cup manifolds with some custom link pipes to a standard 997 GT3 centre box should do the trick for sensible money. How you getting on with your car? Could buy a lot of driving tuition. I've seen loads of guys throw money at cars hand over fist in the pursuit of speed, yet never wanted to believe that they were the weak link in the chain regarding that pursuit. Don't get me wrong, if people want to mod their car, crack on. But I always struggle to listen to people talk about their mods for performance reasons and they've never invested in themselves. This. I threw the keys to my 993 Carrera to a semi-pro racing driver at Donnington to see the limits of the car pushed by someone who knew what they were doing. He was overtaking 997 and 996 gt3s left right and centre. No the price did not include shipping. It’s too expensive.you can’t realy use all the power on the road in the uk. I do like the Ida of replacing my heavy fully electric seats for buckets . How easy to swop the seats over and did the seats come with the runners. When I briefly considered doing a 3.9 on my 997.1 GT3 (whilst in discussion with SW they announced their 4.0/4.1 conversion). Regal were going to remove and strip the engine, and Alex was going to fly over and oversee the build, the mapping was due to be done remotely by GIAC. Can't wait. You're gong to have educate me re the pros/cons of mk1 v mk 2 6 GT3 over a beer. Interesting that Matt Farah refers to 1st gear in the 4.1 as being redundant, because the tyres light up after 5,000rpm. Linear power curve too.... it all sort of makes me think perhaps the 3.9 is the sweet spot?